In this paper I want to state that the contemporary media user is acting in two distinct ways. In order to illustrate this I analyzed two different apps ExpressVPN and Cammeleon that both focuses on securing private information online. Furthermore I will employ different about the everyday use of social media platforms to elaborate the contradiction that I noticed. If we think about the relationship between privacy and the everyday use of the Internet these days, a lot of us would take Facebook as the key example to illustrate this particular correlation among the two concepts. I feel that the past couple of weeks and even months we weren’t able to distance ourselves from news streams, blogposts and even live broadcasts that paid attention to Mark Zuckerberg’s privacy scandal. Terms such as data, privacy and digital media users became familiar concepts within everyday news and everyday conversations. This week I discovered two apps that made me look at the so called everyday media user in a new and critical way. In particular individuals that openly share and post content on a regular basis. By exploring these two fairly new apps I noticed a current contradiction in the way we use the Internet and what we genuinely expect from it. On the one hand the urge to stay anonymous in the digital world and protect the data that we produce, and on the other hand the need to constantly share personal information online. With the use of a few theories I will analyze the two apps Cammeleon and ExpressVPN to further elaborate the contradiction that I noticed. To introduce these apps I will start illustrating the features of the ExpressVPN software. I came across a number of articles on the online news site Quartz, that mentioned that both China and Russia prohibited the use of virtual private networks (VPN’s) in their country (https://qz.com/1026064/what-you-need-to-know-about-chinas-vpn-crackdown/). This made me curious to further examine these VPN’s. This is how ExpressVPN explains their software: “ExpressVPN is a virtual private network service offered by the British Virgin Islands-based company Express VPN International Ltd. The software is marketed as a privacy and security tool that encrypts users’ web traffic and masks their IP addresses.”(https://www.expressvpn.com/what-is-vpn). 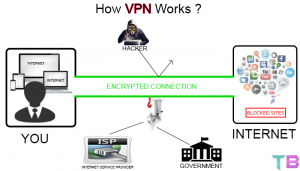 These VPN’s consist of dedicated connections and encryption, that makes this software highly valuable for large companies that work with sensitive information. Furthermore, Gizmodo a technology and science website wrote about the emergence of these private networks among individual users. The software makes it possible for users to mask their actual location, as ExpressVPN replaces their IP addresses with a VPN provider (https://gizmodo.com/5990192/vpns-what-they-do-how-they-work-and-why-youre-dumb-for-not-using-one). That means that you maybe live in Iran but appear to live in the US. This enables you to skip the government’s designed internet filters to create a Facebook account, for instance. The second app is called Cammeleon and became available in the beginning of this year. Cammeleon uses encryption and steganography techniques to lock your pictures before saving them on your computer or smartphone. Furthermore, this app makes it possible to construct a password for every individual photo and to camouflage any particular photo in your gallery. I state that these apps illustrate two distinct aspects of the way that the contemporary media user is behaving. First of all, the idea that we are aware of the fact that we produce data online and that we are trying to find new ways to manage and protect the personal information that we leave behind. Second of all, these two apps both represent the element of behaving anonymous on the web. 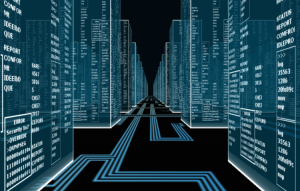 We could link this to the concept of cyberspace, introduced in May 1996 by John Perry Barlow in the Declaration of the Independence of Cyberspace. Barlow stated that the Internet should be a social space without any form of government authority, and with the possibility to freely share information without obtaining order by physical coercion (Barlow, n.p.). Another author that refers back to the concept of cyberspace and anonymity is Salvador Mandujano. In his article Mandujano concludes that we need to have the option to behave anonymous on the web without leaving any traceable electronic footprints because of certain limitations in real life. He states that the Internet offers the possibility to visite support groups and chatrooms at any particular time, so that individuals can share personal issues without worrying about any form of recognition or physical elements (Mandujano, 1-3). Looking at these statements and the key functions that these apps fulfills, I would argue that we are exploring the possibilities to create this notion of cyberspace. With the help of new available software and technology. Moreover, with the goal to distract ourselves form any form of power online. But what I find remarkable and contradictory is that a lot of us, including myself, would argue that we worry about our personal data, but if we zoom in on our everyday behavior online, we completely discard all these principles. We still use social media platforms to update our friends and family with anything that keeps us busy. The website alexa.com posted the 5000 most visited sites on the web, no wonder Facebook became third. In the article Why do people use Facebook? the two authors Nadkarni and Hoffman tried to analyse the success of sociale media platform’s. They stated that there are two primary needs that are motivated by Facebook. The first one is the feeling of belonging and the second, the need for self-presentation (246-7). Furthermore they discovered that technical features of the platform encourage the possibility for users to display their idealized selves (Nadkarni and Hoffman 247). Striking is that in comparison with real life social ties, Facebook for example doesn’t make any distinction in the level of friendship. The two authors Gross and Acquisti, discovered that various social media platforms do present particular settings concerning privacy, but that users ignore or accept the default setting that is being offered. Moreover they state, that individuals feel a sense of belonging to a community when joining an online platform (79-8). Concluding this topic of online data, I think it is interesting that we can easily put aside our concerns about privacy online in order to make use of certain online platforms or communities. If we are really worrying maybe we should start with changing our privacy settings that these social media platforms are offering. Gross, Ralph, and Alessandro Acquisti. “Information revelation and privacy in online social networks.” Proceedings of the 2005 ACM workshop on Privacy in the electronic society. ACM, 2005. Mandujano, Salvador. “Towards the preservation of a key feature of the internet: Policy and technology for cyberspace anonymity.” Center for Intelligent Systems (CSI) of ITESM. In proceedings of the 7th International Conference on Technology Policy and Innovation (ICTPI’03). Monterrey, Mexico. 2003. Nadkarni, Ashwini, and Stefan G. Hofmann. “Why do people use Facebook?.” Personality and individual differences 52.3 (2012): 243-249. Web 2.0+ User=♥? An ANT approach to User-Web relationships.